We have just hours. 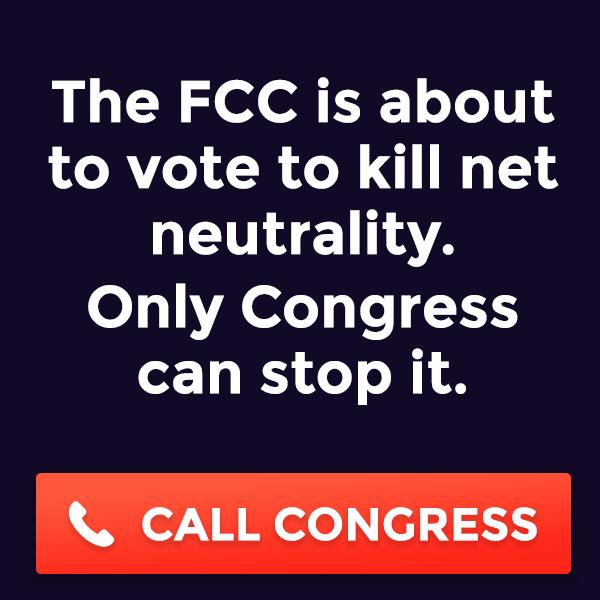 The FCC is about to vote to end net neutrality—breaking the fundamental principle of the open Internet—and only an avalanche of calls to Congress can stop it. So we decided to help “Break the Internet” on our sites. You can also support on Twitter, Tumblr, Youtube or in whatever wild creative way you can to get your audience to contact Congress. That’s how we win. Are you in?